Do AdWords Customers get special treatment in organic search results? This is a question that's become quite common now among webmasters, especially those advertising their website with Google AdWords. And that's understandable, considering the money they spend in doing so. A lot of people also think that if someone buys that ad spot on the right side of the page, then his website gets some sort of an algorithmic boost, and gets an advantage over others and thus ranks higher. Is there any truth to it? And if so, is it any fair to the other webmasters? Google answers this important question in a latest video uploaded by Matt Cutts. I am an important AdWords customer and recently I have seen a drop in ranking for my site. Why can't I get advice on optimizing my site for Google's search results through my AdWords point of contact? Here is Google's response to the question. 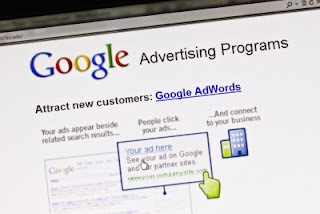 Does Google AdWords benefit advertisers? First of all, it's a common misconception that advertisers who buy an ad spot on the right side of the page get an algorithmic boost of any kind to make them rank higher in search results. Well the fact is, the algorithm is the same for everybody, with no exceptions. So any such assumptions can be safely dispelled, and the 'conspiracy theories' put to rest. Just to be clear, such a practice would not be fair to webmasters who are not using AdWords. AdWords is only supposed to bring up sponsored ads for a website in search results page, and does not effect the search results themselves. So advertisers, by no means, get any sort of benefit in the organic search results. As long as 'special treatment' and 'special points of contacts', Google doesn't allow that either. As asked in the question, you do not get any special advise on optimization or advertising or anything just because you use Google AdWords. This makes sure everyone has the same resources and support channels with Google. Google's quality team has been working hard at dispelling this misconception, and Google says it wants to be as fair as possible, so that no on will think someone is getting special treatment. If they have an increase in ranking, it's because of some other factor(s). very informative post, thank you for sharing this, I am a regular visitor of your blog. Readers ka rin pala ng MBT sir. That's true...otherwise everyone could join Adwards for rankings. As far as i know add words does not help in getting special treatment in regard to your search result ranking. However, we can very easily manage that by employing smart SEO services which optimistically increases your site ranking. Besides, we must make high investment on key word bidding so that your site gets higher rank in any search result. That how we say 'its not adword but its 'key word' bidding which does the job. One thing i wish to ask about the adwords is that Is it a sin to be using adwords and adsense on the same blog? Hey Mohammed , I am daily reader of your blog and i want to publish a guest on this blog , please tell me where i can send you my guest post. Thanks. Nice and informative post bro..